This exceptional 4/5 bedroom detached property comes to the market in pristine condition. With spacious living accommodation this beautiful home is designed and finished to a high standard and would make an ideal family home. Accommodation comprises: Entrance Hall, Sitting Room, Kitchen/Dining Room, Utility, WC, Study, Conservatory, Living Room, 4 Bedroom (2 of which are ensuite) and Family Bathroom. The home stands on a ‘c’ 1.5 acre well-maintained, landscaped site with a further ‘c’ 9.5 acres surrounding the property. The property also contains a detached garage and 5 stables. 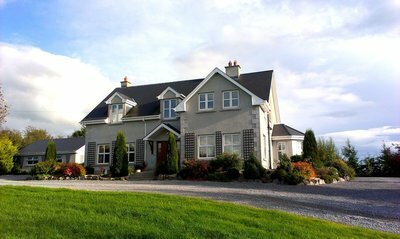 Previous Listing5 Dun Ard, Athlone, Co. Westmeath.Next ListingGlasson Village, Athlone, Co. Westmeath.